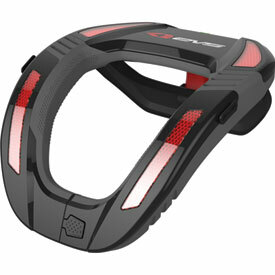 The EVS R4 is a lightweight, form fitting race collar offering protection against neck and collarbone injuries. The low profile design makes it a comfortable yet protective piece of gear you can wear on the track or on the trail. Superior Energy Absorption: The Koroyd structure has extremely efficient and consistent energy absorption properties. The cores decelerate the energy from an impact to reduce final trauma levels. Light on Weight – Strong on Performance: Koroyd is an extremely lightweight core, consisting of 95% air. Performs When The Heat Is On: The mechanical properties of Koroyd remain stable in extremely hot and cold environments. Traditional energy absorbers suffer with reduced energy absorbing capabilities as they become hot and soft or cold and brittle. Bio-foam liner provides extra impact absorption. 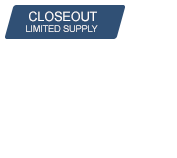 Rapid lock closure system for easy front entry. Adjustable rear strut for a customized fit. Works with all EVS roost protectors. Recommended for under 5'3", under 105 lbs. Weight: 635 grams / approx. 1.4 lbs. BEST ANSWER: EVS does not have a chart. They say its recommended for under 5'3", under 105 lbs.